Switzerland is a country located at the crossroads of Europe. Nestled between France, Italy, Austria, and Germany, it boasts awe-inspiring mountain scenery, picturesque towns and villages, and world-leading multicultural urban centres. Whether your child is a beginner or advanced student in English or French, we have the summer immersion classes for you! Every morning students spend time brushing up their grammar as well as developing their oral fluency. 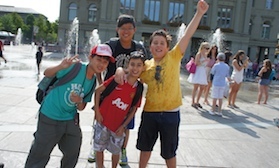 In the afternoons and weekends they have the opportunity to put their newly acquired language skills into practice as they travel into the city and around the Swiss countryside. In addition, students share a room with someone from a different nationality to encourage them to practice the language that is not their mother-tongue. Due to the incredibly diverse student body, this allows students to make close friendships with children from other parts of the world. Four afternoons a week students take part in sports class with others of their age. Many activities take place on campus – basketball, tennis, trampolining, zumba, unihockey, whilst others may take place nearby - ultimate frisbee, cycling, volleyball. Some sports classes take place on Switzerland’s famous lake Geneva (whose real name is Lake Leman) which is just 10 minutes away from campus. Students enjoy stand-up paddle, playing on a banana boat, or windsurfing, depending on the weather conditions. 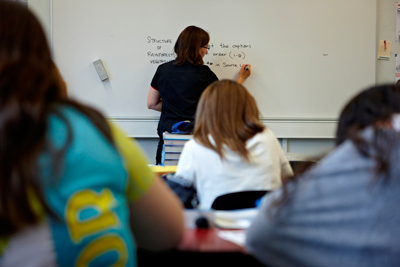 Outside of the language classes, students often have a couple of periods scheduled each week in which to do homework. This helps to advance their learning more quickly in a supportive environment where staff is available to assist students when needed. Periodically throughout a given week, evening activities are planned for after dinner. Just a few examples are quiz nights, basketball tournaments, and evenings filled with a variety of games. Periodically throughout a given week, evening activities are planned for after dinner. A few examples are quiz nights, basketball tournaments, treasure hunts, and evenings filled with a variety of games. 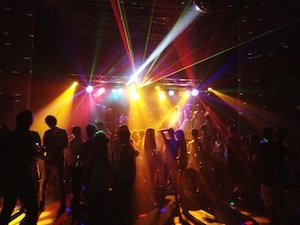 Every Friday night, following a delicious barbecue, students love to participate in a lively disco. A great way to begin the weekend fun! 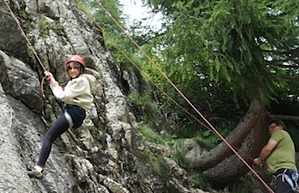 Each weekend, the school takes students on excursions all over this beautiful part of Switzerland to go on glacier walks, go rock climbing, explore underground salt mines, do mountain karting, and high alpine hiking. 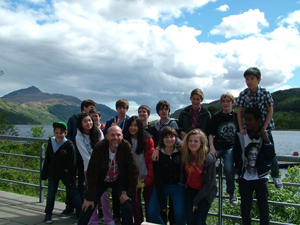 Many of the outings included in a Swiss summer school experience hold a historical element as well. Students particularly enjoy visiting the monumental Chillon castle and celebrating Swiss national day in August with fireworks and traditional lanterns. Many of our trips take students to some of the nation’s most famous urban centres such as Geneva and Bern. Students may explore museums, visit a chocolate factory, or climb to the top of the cathedral to see the city from above! The Brillantmont Summer School is now open for registration, but slots are filling up quickly! Reserve your child’s place today! Click here to request our information package, which includes the application form.